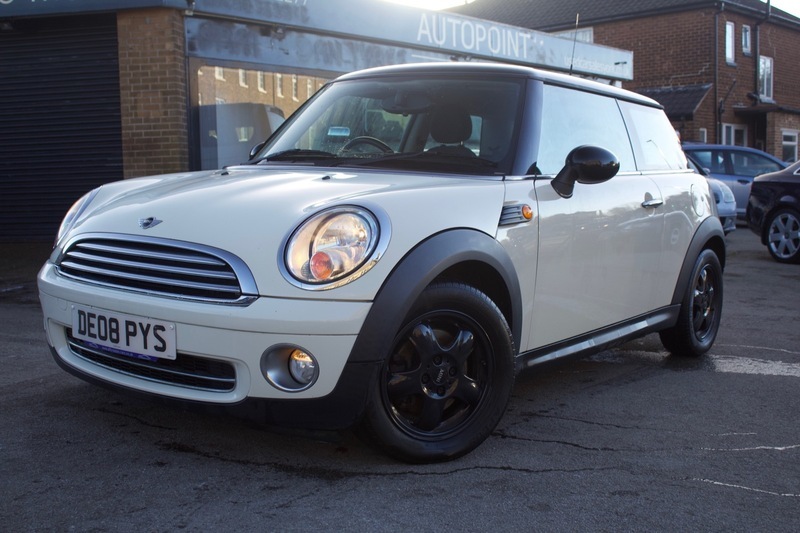 Here is our Mini Cooper finished in White with Black Alloys and with only 77,026 miles on the clock. The car will do over 50 mpg from the frugal Start Stop Technology Mini engine. The car also comes with Black Alloy Wheels, CD Player, Electric Windows, Daytime Running Lights, Radio, Start Stop System, Mood Lighting, MINI Stereo System, Cup Holders, Electric Mirrors and Privacy Glass. The car will also come with MOT, 12 Months Service, Free AA Breakdown Cover and a Pre Delivery Inspection.